First Communion Rosary Black or White with Box. This lovely two piece set includes black rosary for the boys and white for the girls. 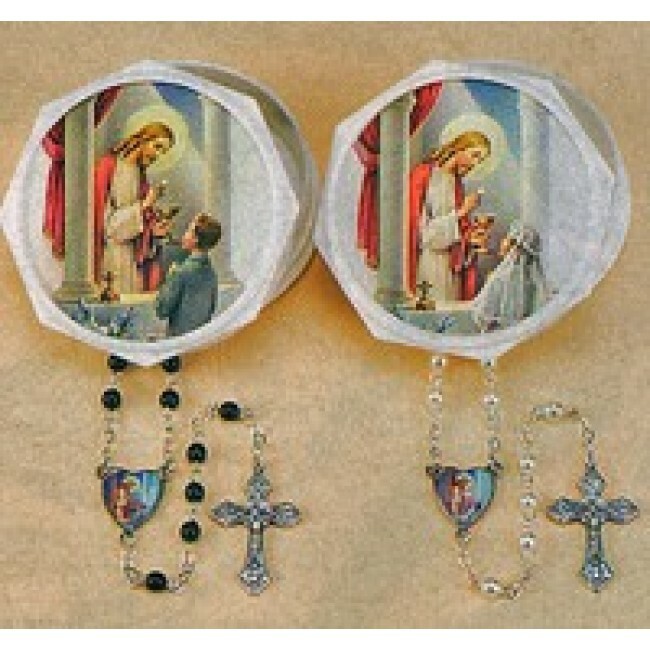 Both come with keepsake box with First Communion scene matching the center medal in the rosary.